has been practicing Yoga since 1980. She began her studies while in college at UWGB in Green Bay, WI. 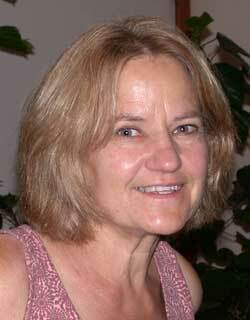 In 1996 she began to study with Kathleen Kelly Hoffman of the Bay Area Yoga Center. In 2001 she completed her teacher training as well as the advanced teacher training at the White Lotus Foundation in Santa Barbara with Ganga White and Tracey Rich. Since then, she has done extensive study with Dr. Ranjani Cobo an Ashtanga teacher from Argentina. In 2006, Kathy began to work with Micheal Stone a Yoga teacher, psychotherapist, Buddhist teacher and author based in Toronto. Lynn Tomjanovich has been practicing yoga for more than 15 years and is a Registered Yoga Instructor (RYI-200 hr). She is a year ’round resident of Sturgeon Bay, has raised two sons and also has a great love of nature, art and the spirit embodied at Junction Center.